Making two side-by-side three strand braids with only five strands sounds impossible, but it works out fine. Bear with me. This is part of a series that show simple braids I have developed to encourage novice braiders who have not yet got past the basic three strand plait, to bake. Thank you Dan, come and join me. Ibor, please provide more details. A complete method, including the proper dough elasticity and extensibility would be helpful. I have no idea how you did the double braid. Update, I failed to notice and follow your link in your original post. I see that you a book has been published on the subject. Thank you for your comment; please see the explanation I have added to the original post. I edited the post after rereading your original post. I thought the book would provide answers to my original question. Very talented. What is the typical hydration of your braided breads? Thank you Abe. 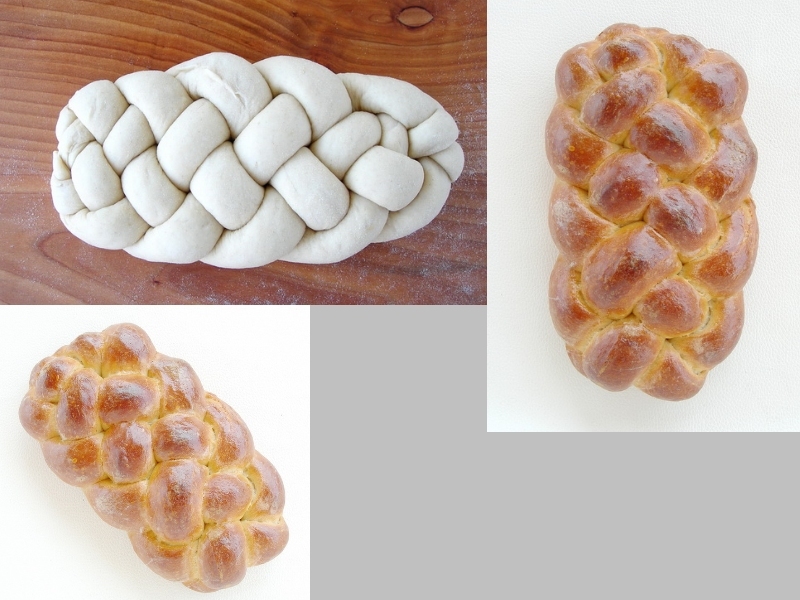 The dough for braiding must be of low-hydration or else the plait will disappear once the loaf is baked. In my book I recommend and give the formula for Hamelman's Challah dough. Thank you for your encouragement. I have added an explanation to the original post.